A lattice boom crawler crane fell on top of a construction worker Wednesday in Marathon, FL authorities said. The incident was reported about 9 a.m. at a construction site on Sadowski Causeway in Key Colony Beach. 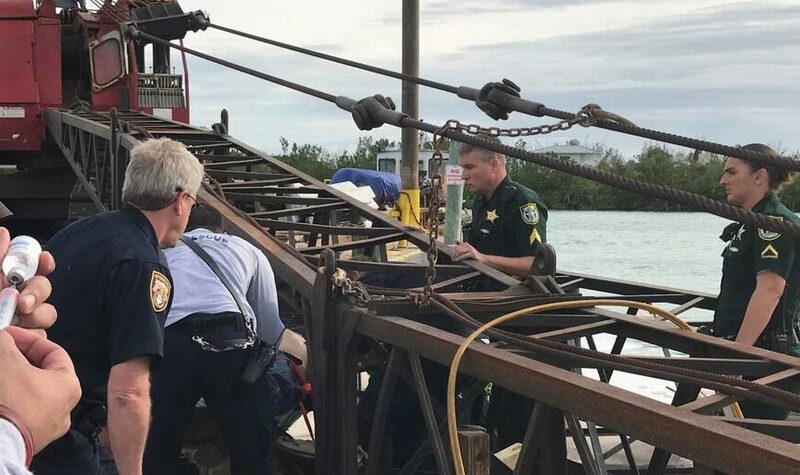 Monroe County Sheriff’s Office spokeswoman Becky Herrin said deputies arrived at the scene to find Joe Stutzman, 46, of Fort Pierce, trapped under the boom of a crane. According to Local 10, Paramedics and deputies worked together to lift the boom off Stutzman, who was then airlifted to Jackson Memorial Hospital‘s Ryder Trauma Center. Herrin said the crane is owned by Waterfront Construction and is located on a barge in the area. She said the Southeast Marine Construction company subcontracted with the company to put a new dock in that location. Herrin said numerous witnesses were interviewed by authorities, and all of them said Stutzman was trying to extend the boom when it collapsed on him. The victim’s condition has not been released.